There are ways you can manage frost in your garden. We tell you how! The Highveld, KwaZulu-Natal Midlands and summer rainfall Karoo region regularly experience winter night temperatures below 0°C. However, frost is a very unpredictable and erratic climatic feature that is influenced by other factors beside temperature. 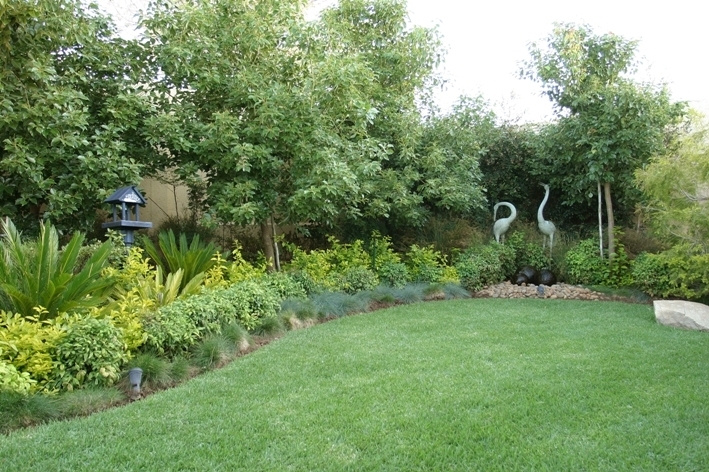 During the night both the soil surface and the air cools, until water vapour in the air condenses on exposed surfaces – such as foliage and lawn – forming dew. When temperatures drop to below freezing, the water vapour changes into the ice crystals, known as frost. In winter, frost is most likely to occur on wind-free, cloudless nights as both wind and cloud cover can keep the air temperature warmer. In some regions the air is too dry for ice crystals to form. Nevertheless the below-freezing temperatures damage plant structure, and such frosts are known as black frosts, a term which refers to the colour of the damaged plant foliage and stems. 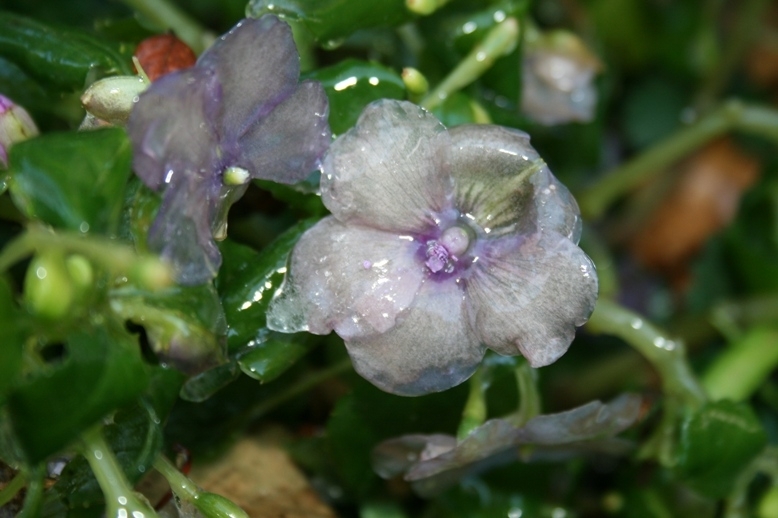 Frost damage occurs when the cell sap in plants freezes. This causes the sap to expand and the cell walls rupture, thereby destroying the plant. 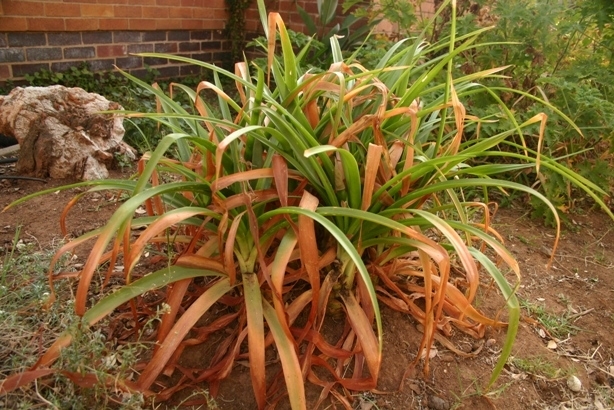 Some plants cannot survive frost – these are commonly known as frost-tender plants. Others can tolerate mild frost (0°C to -3°C) – these are called half-hardy plants. The range of below freezing temperatures tolerated by plants that are commonly known as frost-hardy varies enormously, from plants that survive moderate frost (-3°C to -5°C) to those that are extremely frost resistant, surviving the heaviest of frosts that occur in the eastern Free State (-16°C). In order to achieve a thriving garden, it is essential that the majority of the plants are able to survive the coldest temperatures that occur in the garden. This applies particularly to trees and shrubs, as these form the backbone of the garden, and take a long time to grow to maturity. Losing backbone plants to frost is a disaster for the garden. 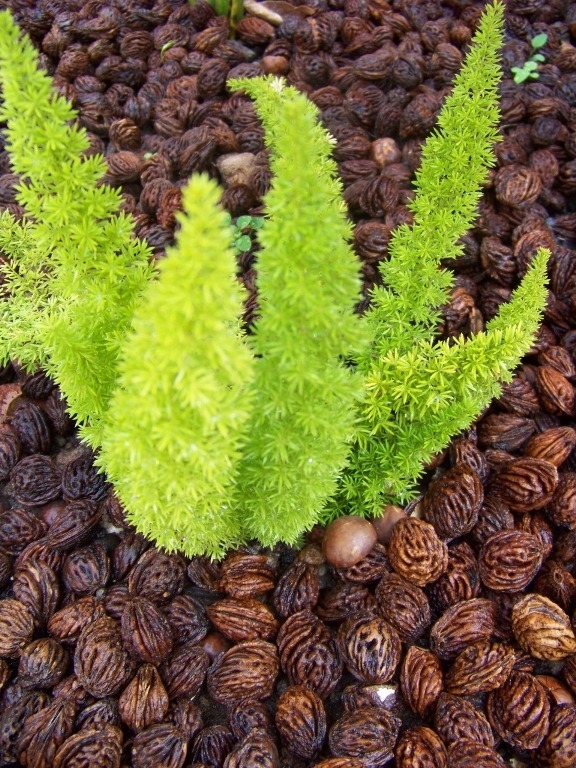 Make sure that two-thirds of these plants are evergreen so that the garden has foliage during the winter months. Observe what grows well in neighbouring gardens and ask advice from a local nursery. Investigate local indigenous plants as these are perfectly adapted to prevailing conditions – including hot summers. There is a plethora of exotic plants that tolerate frost, but not all like our hot summers. In the sheltering canopy of frost hardy trees and shrubs, smaller shrubs and perennials that are somewhat less frost resistant can be planted. Beds under north-facing walls also have their own warmer micro-climate where you can experiment with your plantings. To further widen your plant choice, bear in mind that many trees and shrubs can survive frost, provided they are protected during their first three winters. How can I firescape my garden and lessen the impact of a runaway wildfires? A few simple changes to your garden's layout and your plant choice are all that are needed to help improve your garden's fire retardant qualities. Apply a thick mulch over the roots of any plants that may be damaged by a heavier than usual frost. 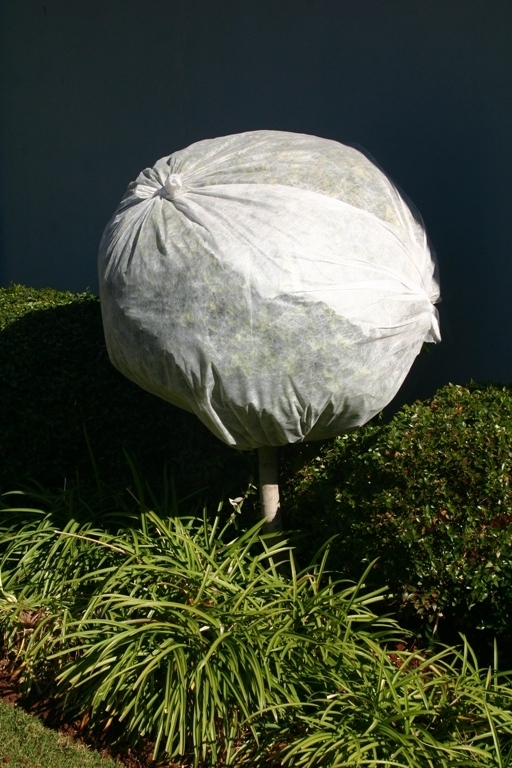 At night put hessian, straw tepees or a frost cover over plants that may be damaged by frost. Open up at least one side during the day. Delay removing plants that seem to be destroyed by frost until the spring. They may simply be winter dormant, or may re-grow in spring. Delay removing damaged foliage until spring as it can act as protection against further frost. Irrigate in the morning rather than in the evenings so that the water is absorbed before temperatures drop below freezing.